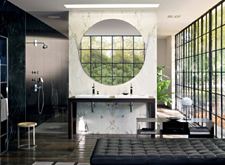 Check out highlights for luxurious showers and an ultra-purist bathroom collection. With new showers and mixers for wash basins, bath tubs and showers, AXOR offers new options to help you achieve your dream bathroom. Follow Axor on the pathway to the world premiere of a new collection. Find out what Axor has been working on over the last few years and how the new collection was created in collaboration with Philippe Starck. 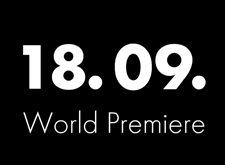 Everything exclusive to Facebook, from now up until the world premiere on 18 September. Avantgarde design combined with innovative technologies. Turn the shower into a place where you can be captivated by water. 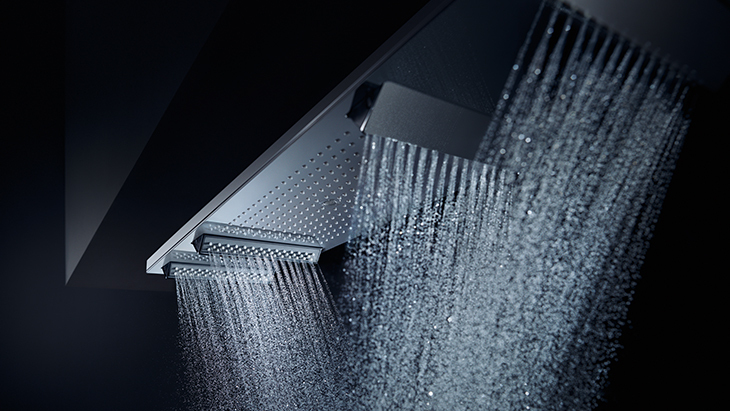 The new AXOR shower products and mixers are an absolute must in the shower. Luxurious: AXOR ShowerHeaven 1200. Featuring a new jet type. Or the AXOR overhead shower 350. Unique in every dimension. With its pipework style, the AXOR Uno bathroom collection embodies purism perfectly: radically functional and ultra-minimalist in design: the cylindrical, geometric elements are right-angled or gently curved. 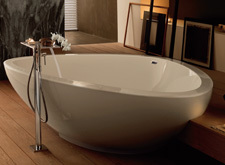 AXOR Uno includes products for wash basins, showers and bath tubs. 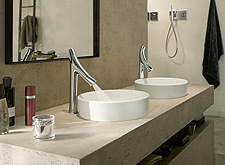 The AXOR Montreux collection follows the tradition of the period around the turn of the century. The era of radical change and progress at the beginning of the 20th century. In their design, the showers and mixers are reminiscent of the first industrially manufactured fittings. Check out new variants in the authentic, classic bathroom collection that offers modern user convenience. 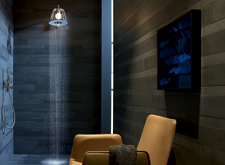 Axor ShowerProducts designed by Front add an industrial charm to the shower. The products are a combination of timeless shapes, such as industrial-style pipes, and familiar control elements featuring the latest technology from the number one shower manufacturer. They can be combined with many of the collections and integrated into a variety of ambiences. The Axor LampShower from Oki Sato, creative head of the Japanese design studio Nendo, provides both light and water, creating a truly elegant furnishing accessory, as if by magic. The lamp and shower combination cites the timeless shape of a lampshade and adds a sense of homeliness to the bathroom. In their twentieth year of collaboration, Axor and Philippe Starck are opening a new chapter in their mutual success story. Axor Starck Organic is revolutionising the use of water and setting new standards in bathroom mixer efficiency: a highly sensual water experience can be achieved using less water. The organic minimalist design blends into different bathroom environments in a natural way, and can be combined in versatile ways. In 2003, a highly elegant and successful collection came to life. Axor Citterio redefines luxury, quality and a love of detail. Doing something good for yourself has become the main idea behind this aesthetic concept. The collection has now been expanded to include new mixers and showers. New and old wonderfully converge in the style mix created in the bathroom. Everything is in harmony with the sophisticated products and the detailed design of the collection by Patricia Urquiola: a bathroom for the senses. Jean-Marie Massaud’s design concept is consistently furthered in the bath tub – the harmonious connection between organic and geometric shapes. A successful symbiosis between man, water, property and space. 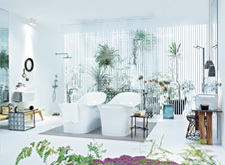 “Just mix it” is the motto of the Axor Starck ShowerCollection. The simple modular system of showers, mixers and accessories transforms your shower into a tailor-made spa.